Give an experience, not a thing. Give a mother and her child a Music Together® class where they can spend time together singing, dancing, and playing. Give a mom-to-be a prenatal yoga class where she can relax and prepare her body and mind for childbirth. 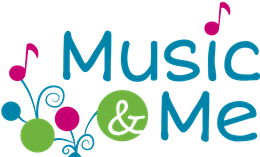 With a gift certificate for classes at Music & Me, you are giving a gift that won't soon be forgotten.